Untamed is the same as Rage, isn't it? ^ Yes it is. It's a good compact layout; I just wish I could experience it without the OSTRs. Awesome TR! 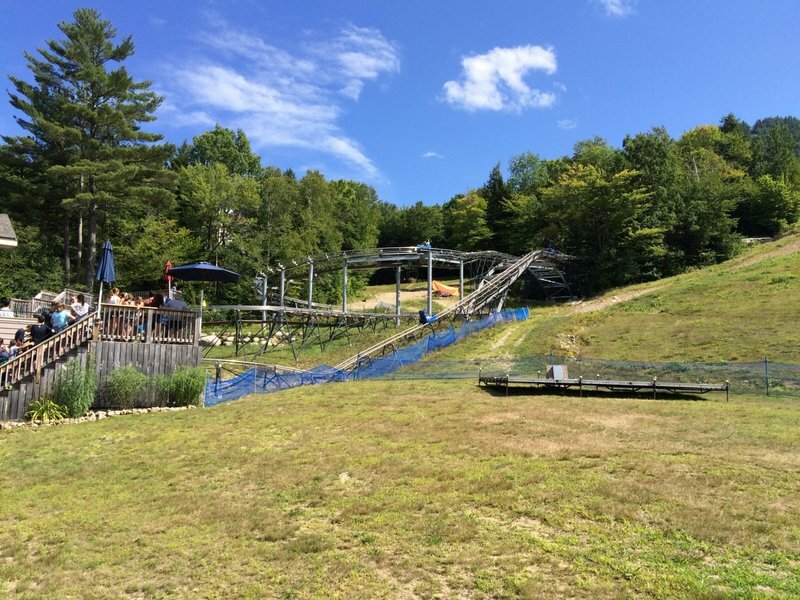 Looking forward to the less talked about Mountain Coasters! I totally agree with the Roar-o-Saurus love. Gravity Group did an amazing job on this ride. It doesn't look like much from the ground but it is just so much fun. You could make a case that it's the third or fourth best wooden coaster east of the Appalachian mountains behind El Toro and Boulder Dash. chickenbowl wrote: Awesome TR! 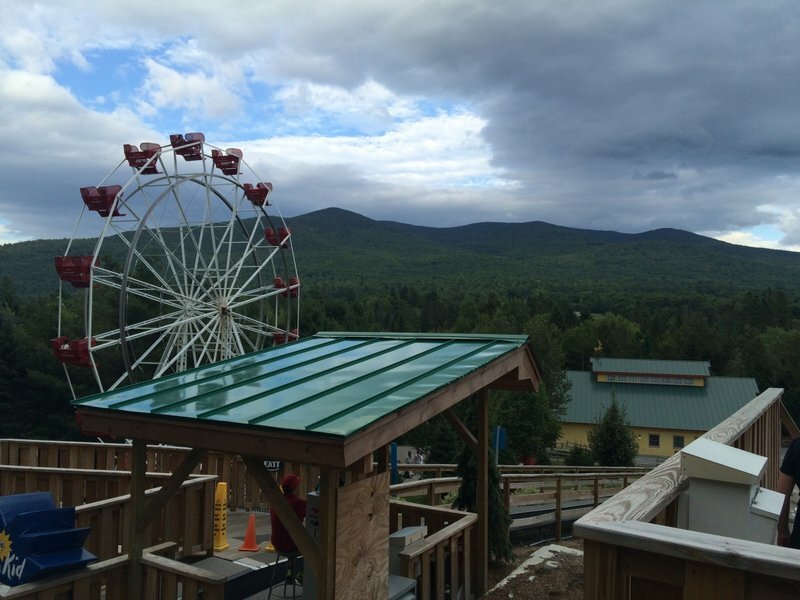 Looking forward to the less talked about Mountain Coasters! Thanks! I really like mountain coasters. Usually they have great settings and do a great job maintaining their speed the whole way down. 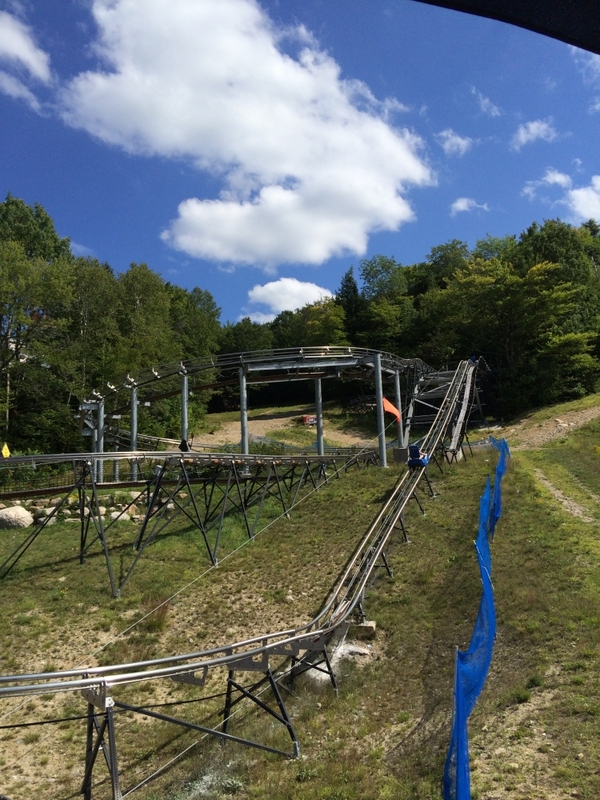 I actually just rode the one at Berkshire Mountain a few hours ago and it was one of the best ones I've been on. My favorite still is the Attitash one. gad198 wrote: Nice report thus far. Thanks! 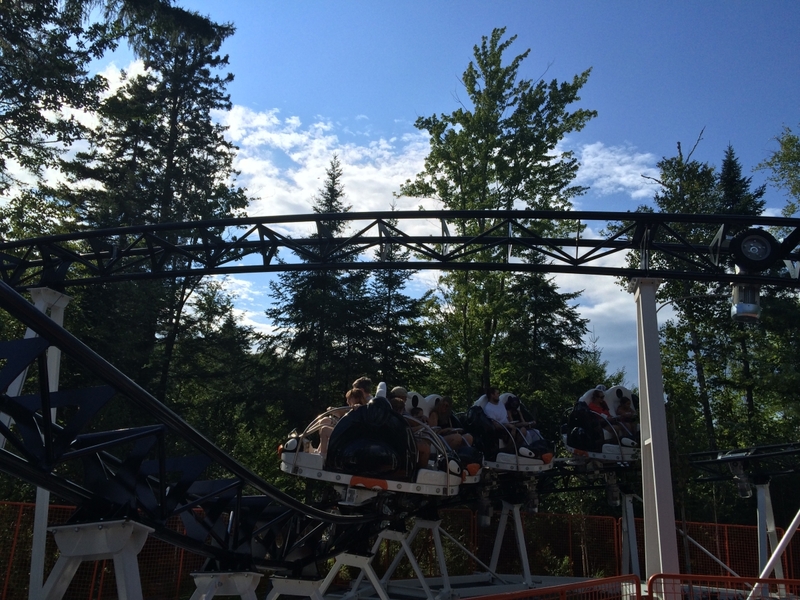 The first time I rode Wooden Warrior I was expecting a kids ride, not an intense little ride jam packed with air. I figured Roar-O-Saurus would be the same and I was right. I'd also throw Phoenix and two classic woodies in New York ahead of it as well (Comet & Cyclone). 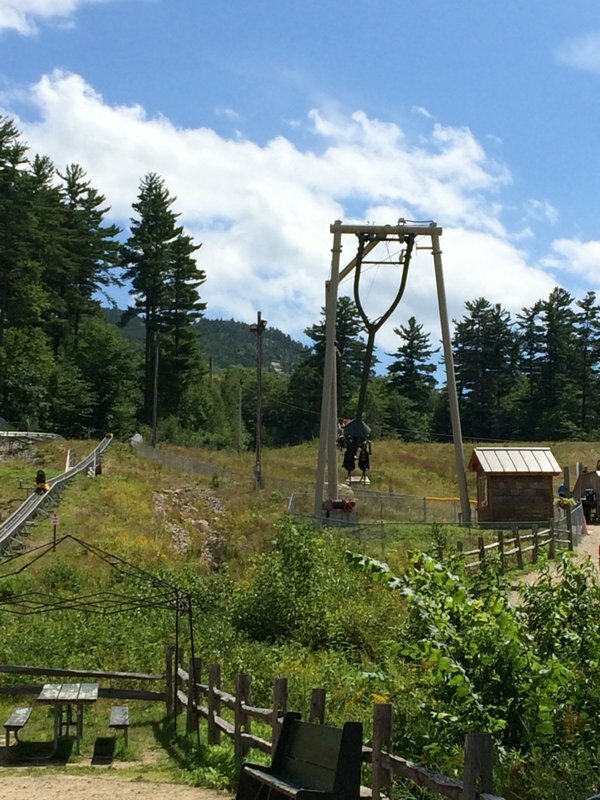 Cranmore also had a few other rides and attractions. 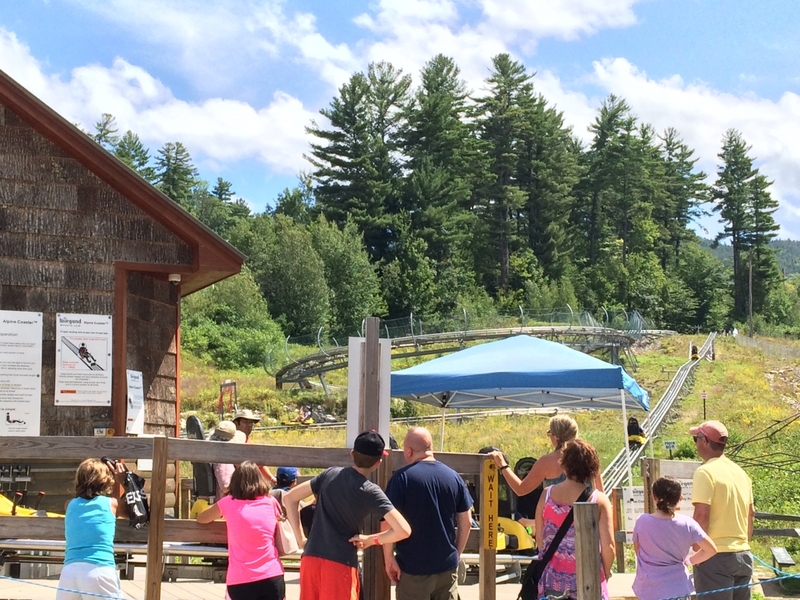 I only came for the mountain coaster, but I saw that they had a short zipline, a weird Screamin' Swing knockoff, and a skylift up the mountain. 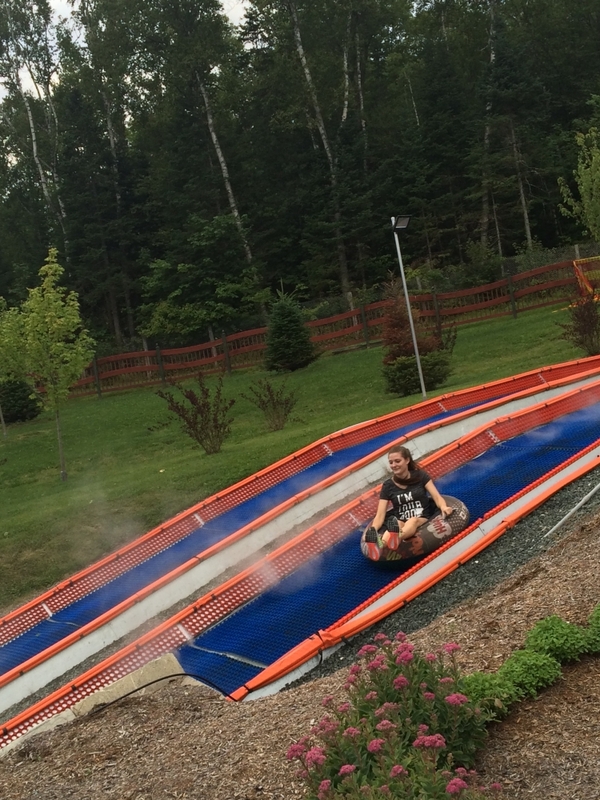 The Mountain Coaster was the real reason I came. Unfortunately it was the weakest one I've come across. 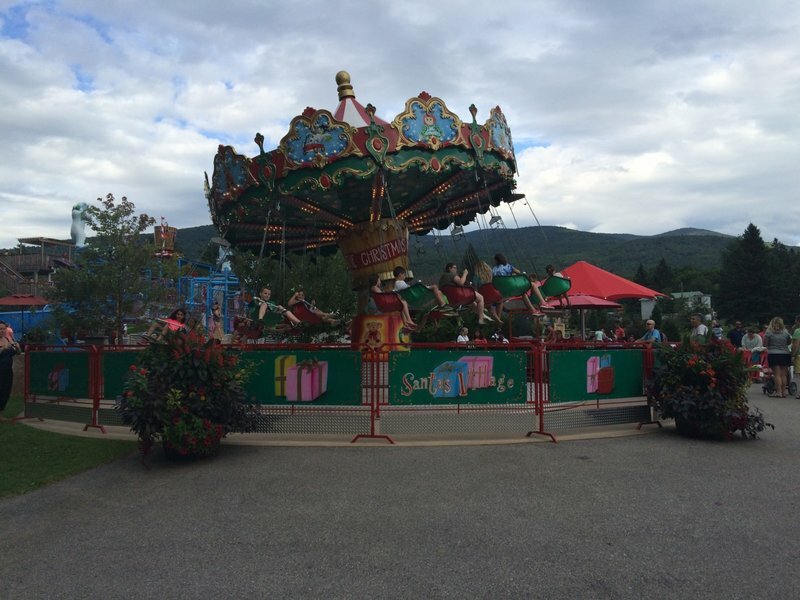 And here's that crazy knockoff screamin' swing. 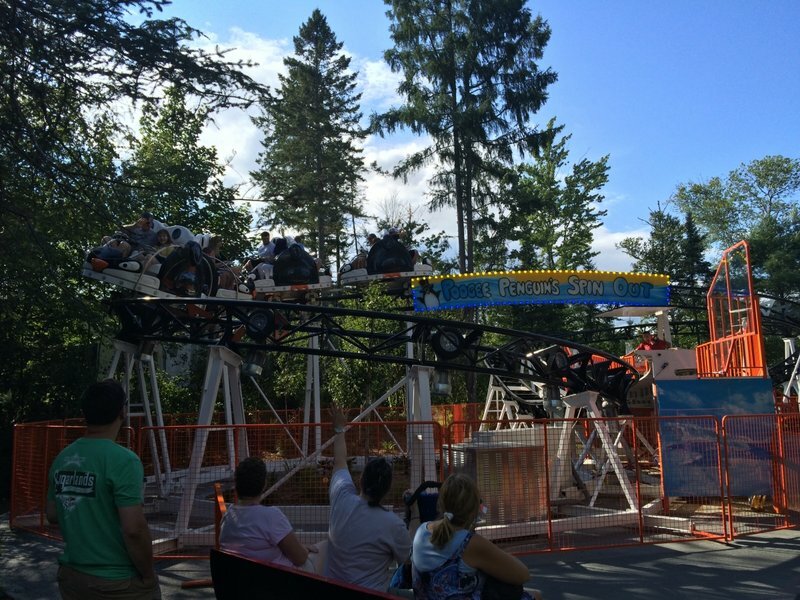 The ride slowly lifts riders up and then releases them for a few swings. 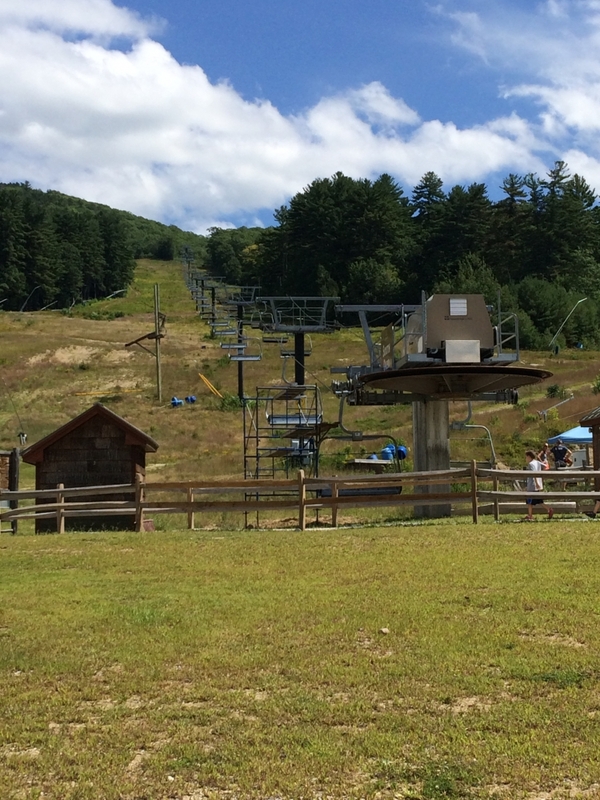 The obligatory chairlift at a mountain resort. 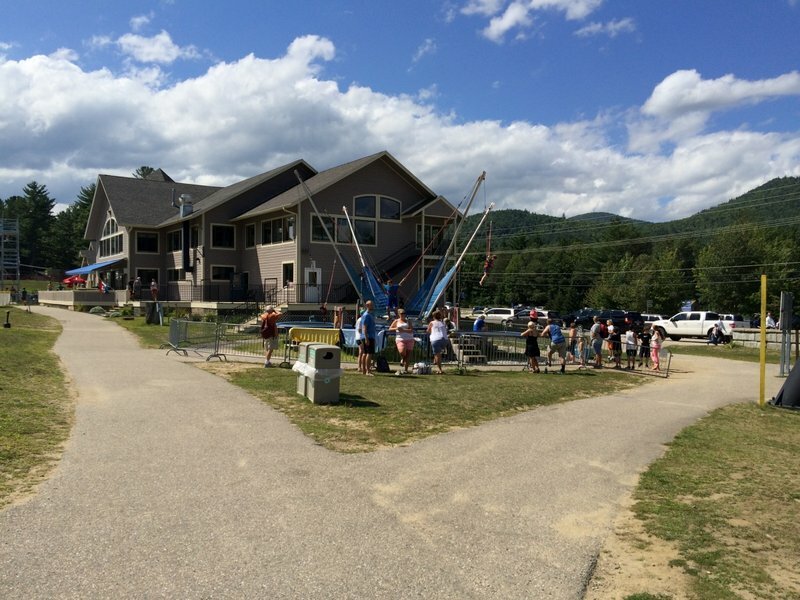 5 minutes down the road from Story Land and 10 minutes down the road from Cranmore is the best of the mountain resorts I've come across, Attitash. Attitash has had a summer area for as long as I can remember, as my family would always drive by it on the way to Story Land, but we never stopped. 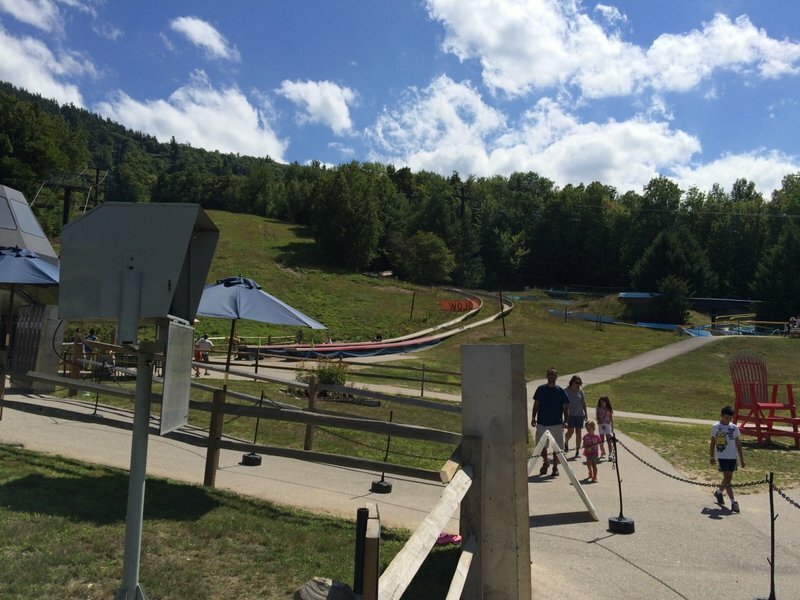 Because of their head start with summer activities Attitash has a wide variety of offerings ranging from alpine slides to water slides to air bag jumps to a mountain coaster, which is the best one I've come across. 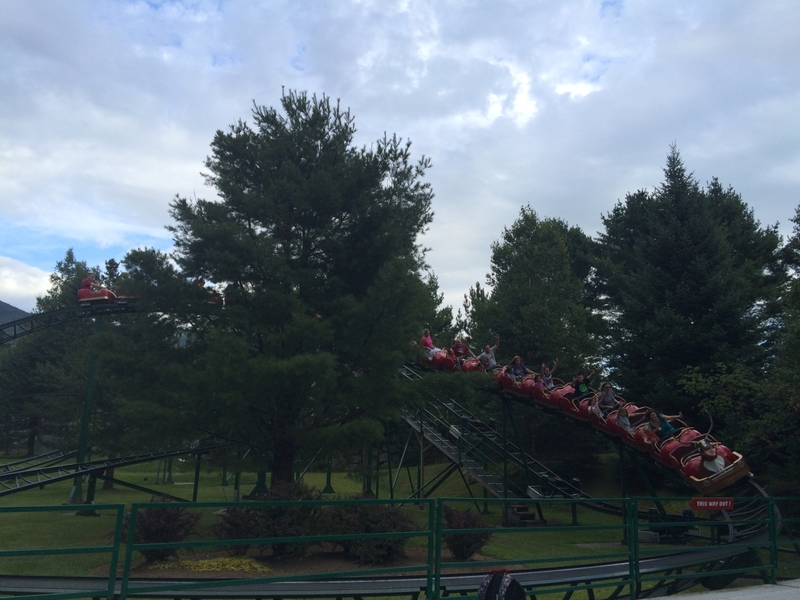 The El Toro of mountain coasters if you ask me. This thing doesn't let up and has a crazy hill about halfway through. The four minute ride up the mountain is a great time to think about life and all of the kiddie credits you are missing in New England. This was (and might still be) Attitash's flagship summer attraction, the Alpine Slides. I've never tried one of these since I know I wouldn't use the brake as much as I should. 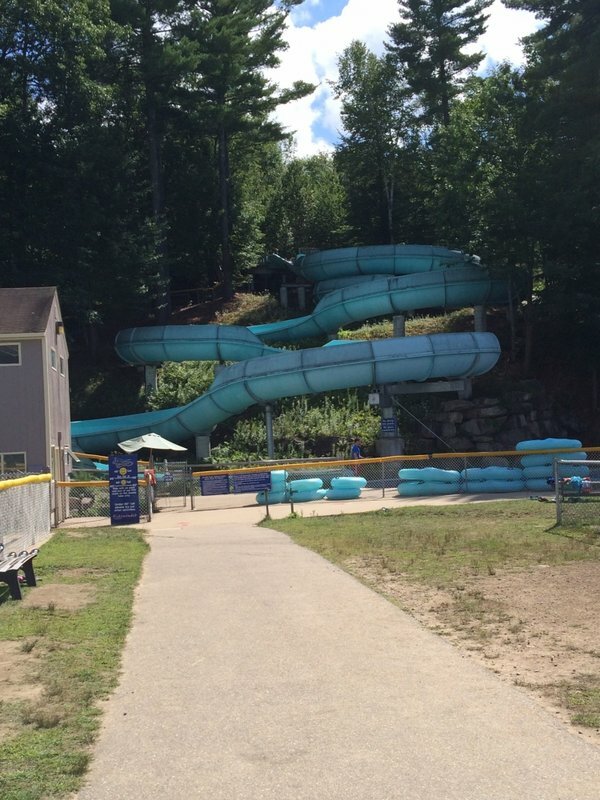 The park's tube slide. 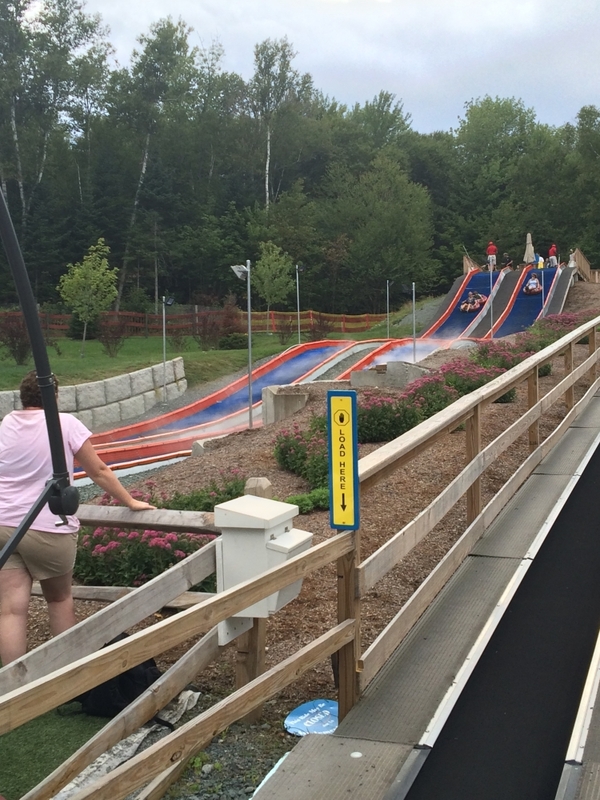 They also have some mat slides on the other end of the resort. 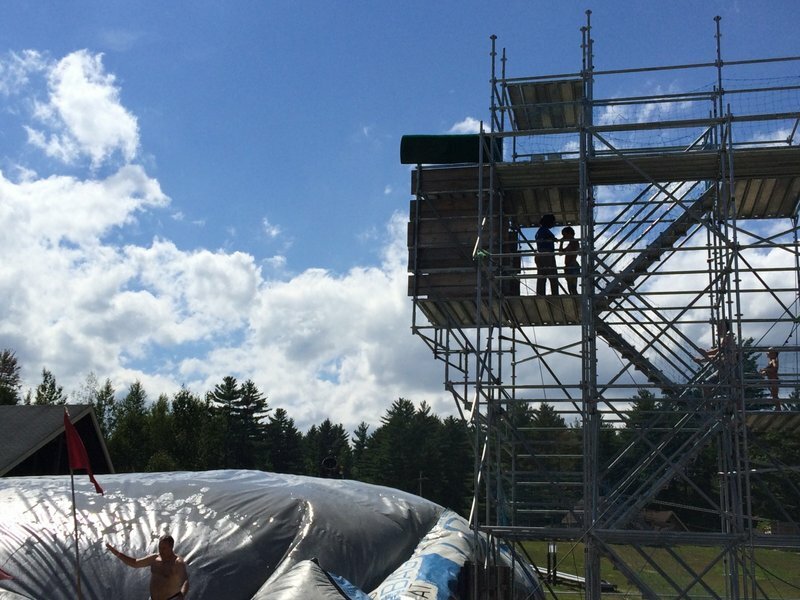 And the park's scariest attraction, the Air Bag Jump. It's quite simple really, you just climb up the ladder and jump. 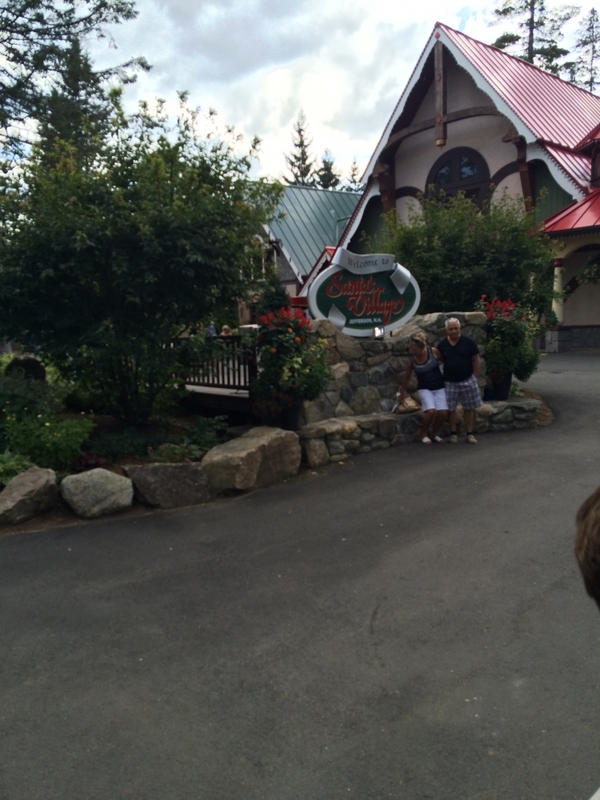 Like Story Land, I hadn't been to Santa's Village in well over 10 years. 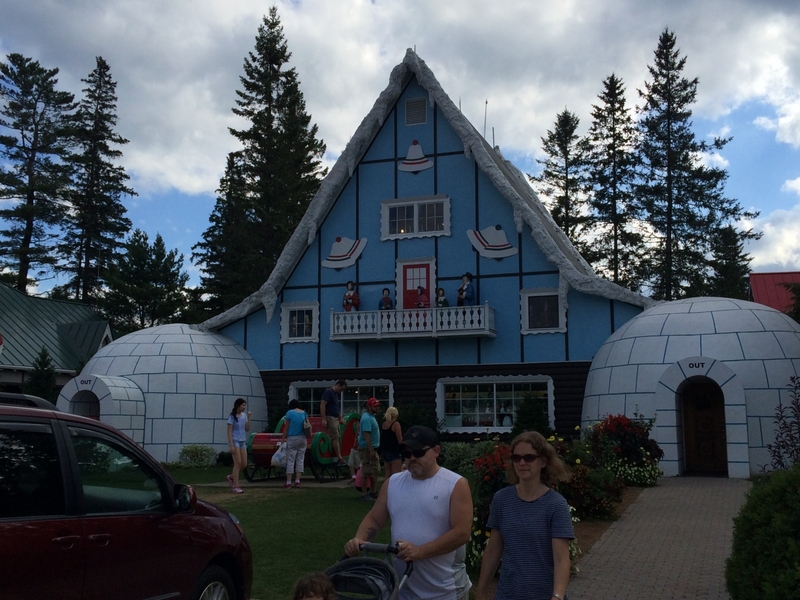 I had planned to make it to Story Land this year for Roar-o-Saurus, but wasn't planning on hitting Santa's Village. 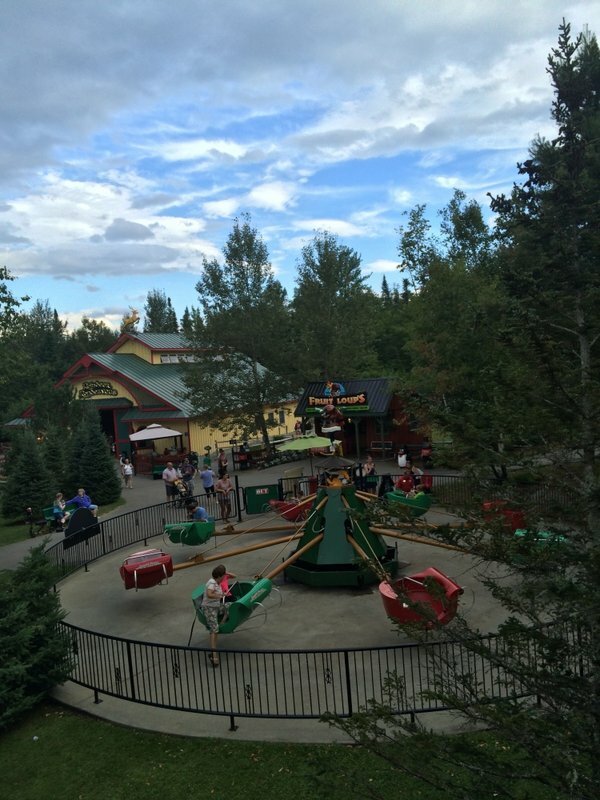 That changed when I saw a surprise listing on RCDB for a second coaster at Santa's Village called Poogee Penguin's Spin Out, which is one of those SBF spinning coasters that have been spawning at parks far and wide. I didn't have much time at the park (~ 1.5 hours), but it was enough to get rides on all of the major attractions and take some photos. 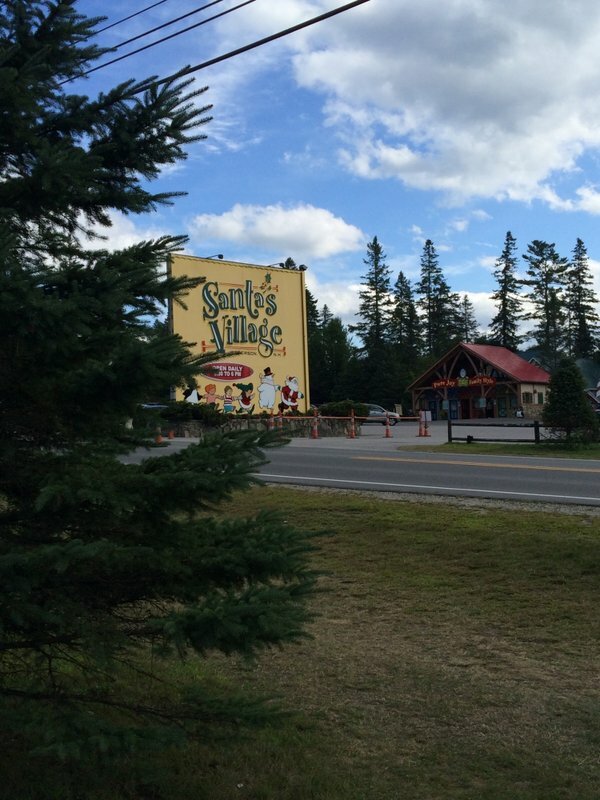 As I remembered, Santa's Village is a very well themed park. It may have been 90 degrees out, but it felt like Christmas thanks to the festive music, candy cane light posts, penguin trash buckets, and religious symbols like Tennessee. 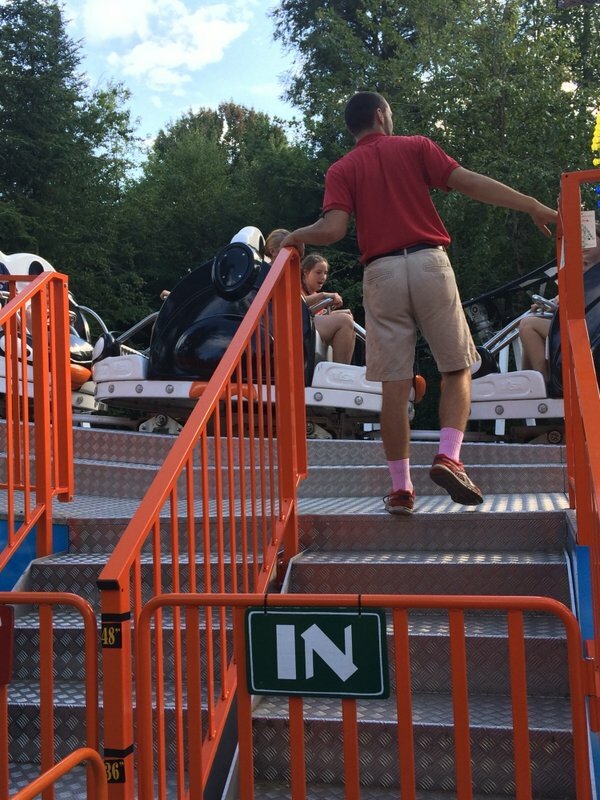 Basically every ride was a 5 minute wait or less. 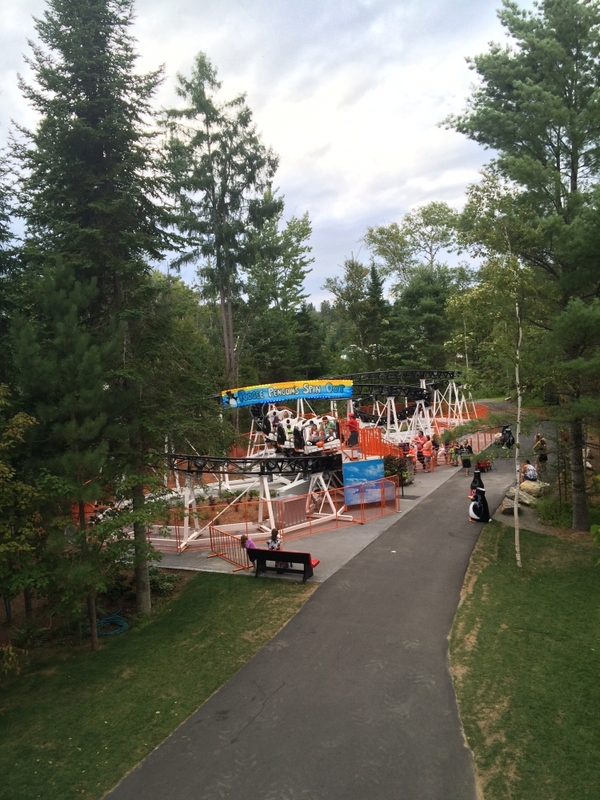 The park had expanded quite a bit to add a swing ride, a drop tower, a water park, a unique all-weather tubing ride, and the brand new spinning coaster. 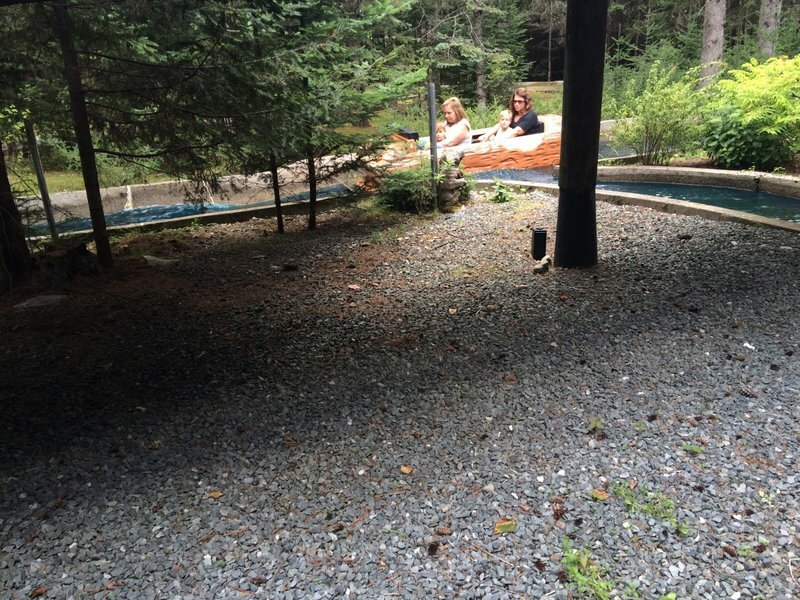 Welcome to the North Pole (aka Northern New Hampshire), a land where there still is no cell service. It may be August, but someday I could see snow hitting New England in the summer. The park has so many little touches that make it feel like Christmas year round (music, candy cane lights, penguin trash buckets, etc). 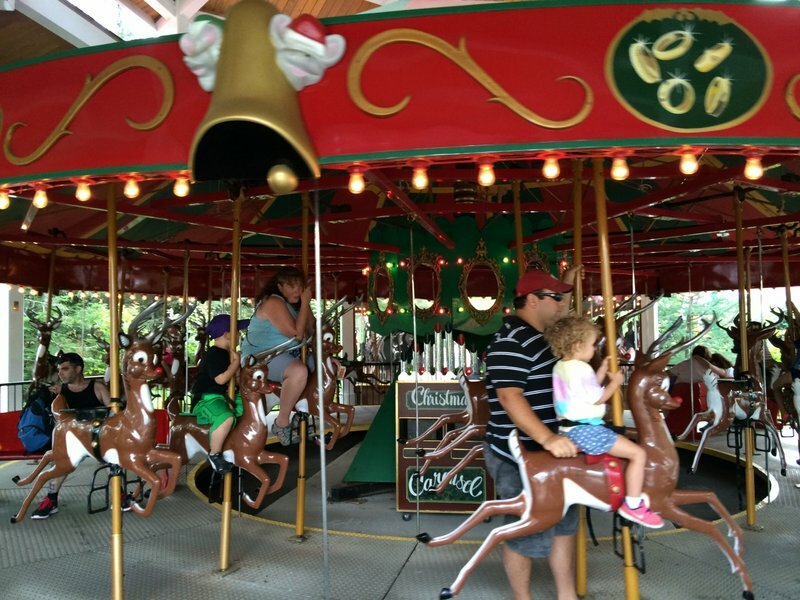 Even the carousel has reindeer instead of horses. The real reason for my visit is a new to TPR coaster, Poogee Penguin's Spin Out. These coasters are spreading like wildfire and for good reason- they're compact and fun for all ages. This one also has a bonus helix! And an operator who doesn't know how to separate his whites and reds. 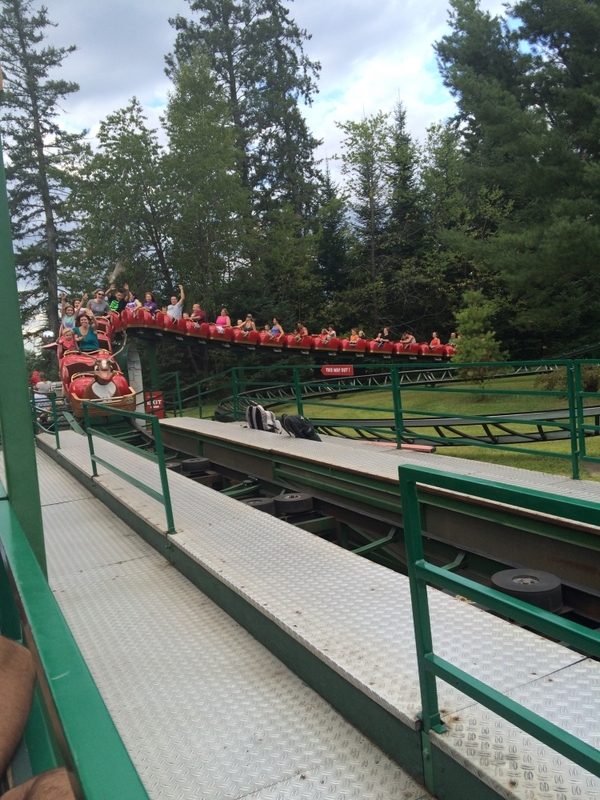 The park's senior coaster is still funner in my opinion, Rudy's Rapid Transit Coaster. That name seems just as cumbersome as Gotham City Gauntlet. 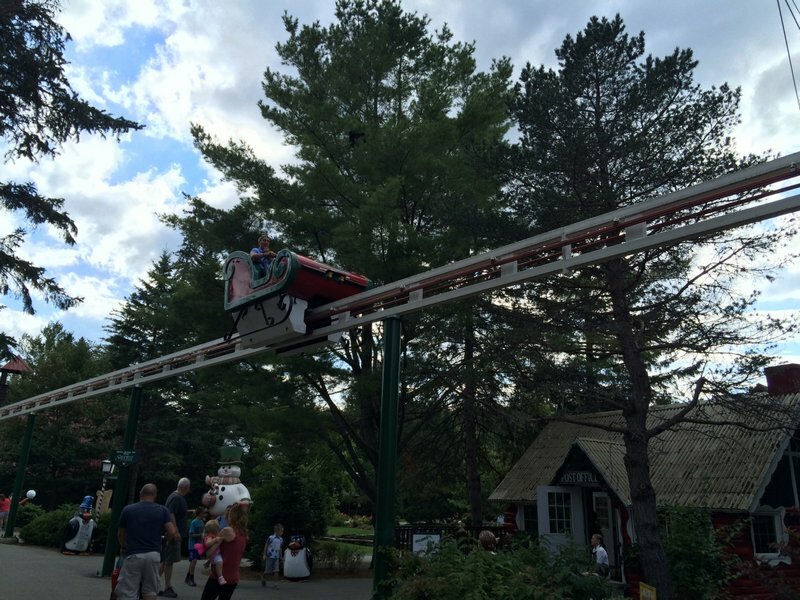 The park has a really unique monorail themed to sleighs that gives a tour of the park. 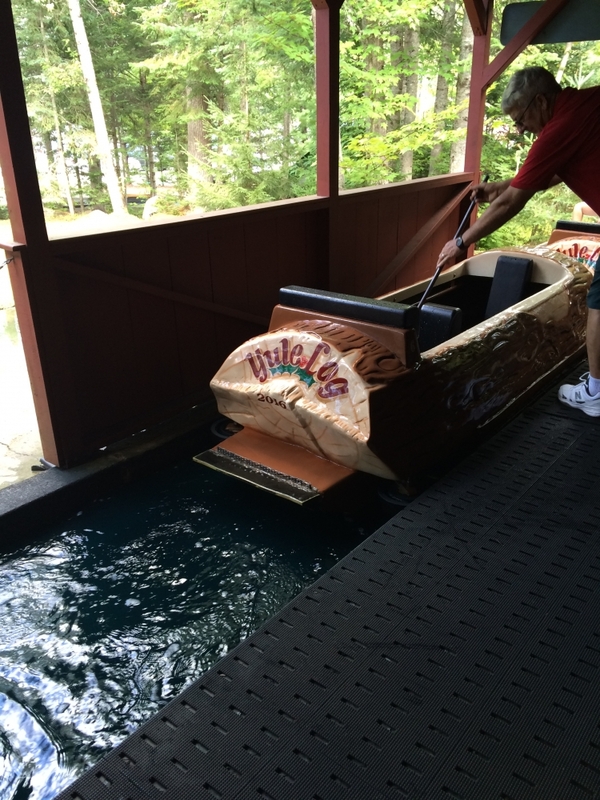 As far as thrills go, the Yule Log Flume is probably the park's most thrilling attraction. And they'll squeegee the seat for you before you board. 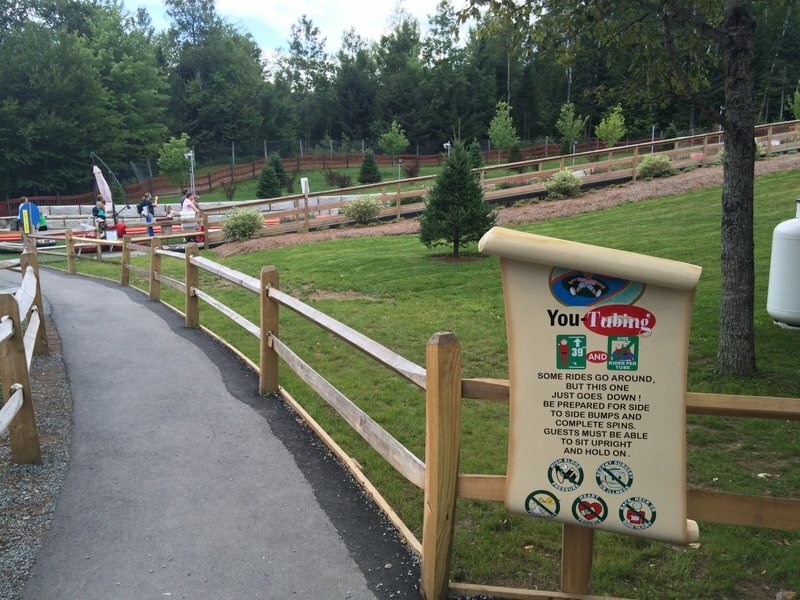 The park also has a unique all-weather tubing ride appropriately named YouTubing. You really build up some speed on the second drop and can spin down in backwards. 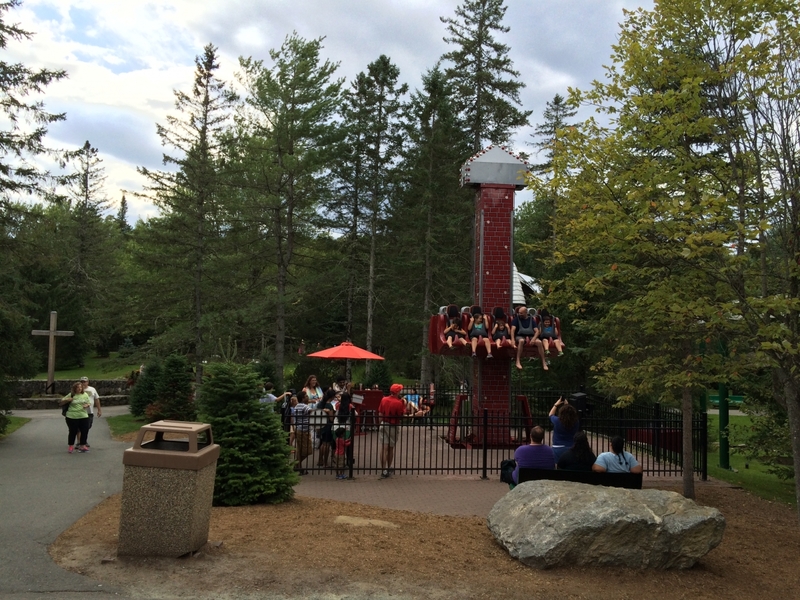 Since my last visit, the park had added a few new flats like the Rockin' Around the Christmas Tree swings. 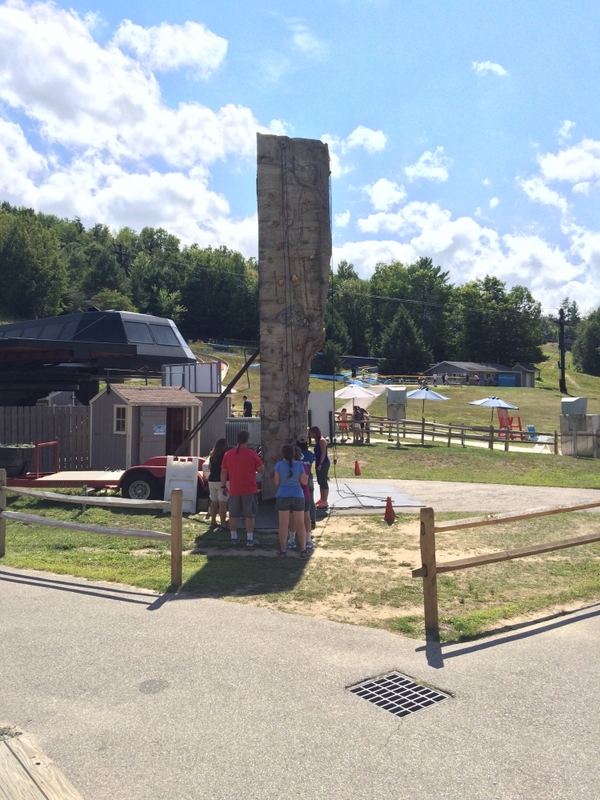 And the Chimney Drop freefall tower. Before there was Harry Potter, this was how I dreamed of flying. 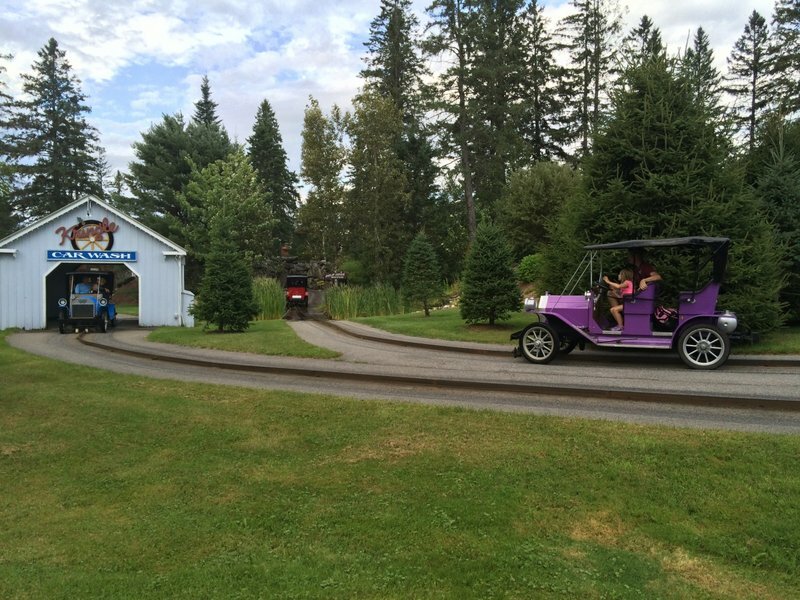 The park also has a really nice set of Antique Cars. 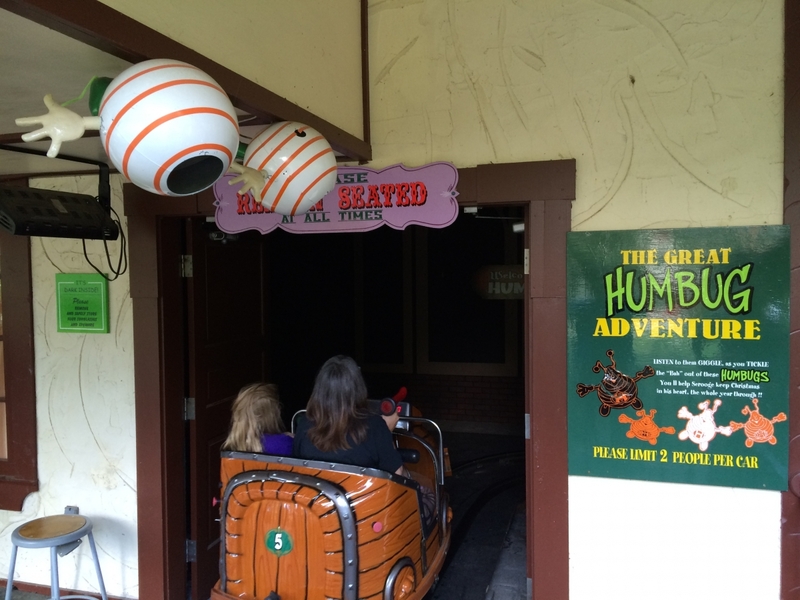 And a dark ride despite the park's relatively small size. The Great Humbug Adventure lets you shoot humbugs with tickle guns. Yes you read that right. Last but not least is the Ferris Wheel. From atop, you can see Mt. Washington and the White Mountains. 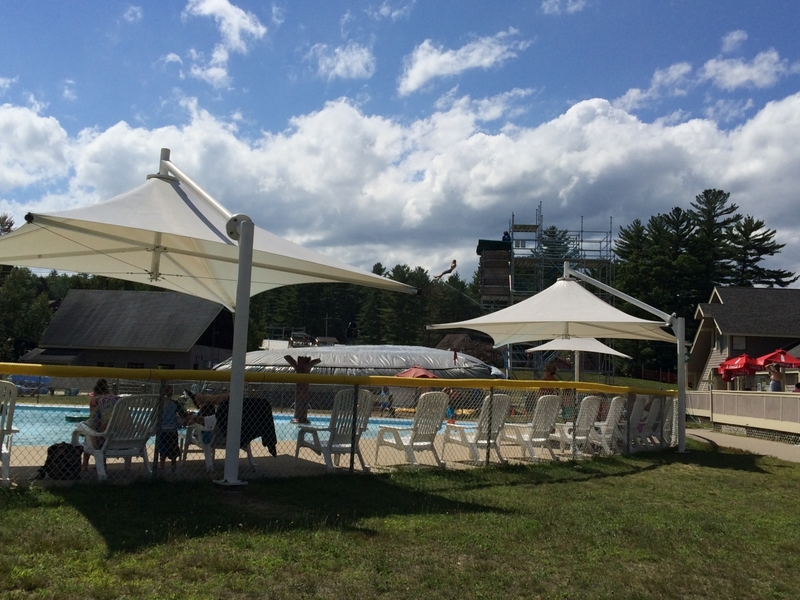 The park has a great setting! I honestly thought you were joking about the name "youtubing" but they're serious, haha! Great report. I haven't been to the Northeast yet but the parks you visited look fantastic. 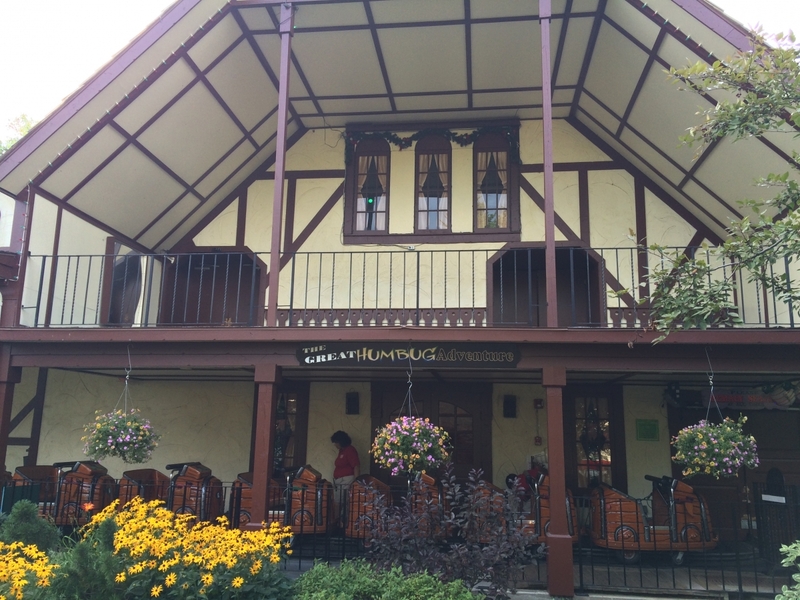 I think this is the first time I have seen a Photo TR from Santa's Village without any creepy elves.